Get involved and try something new. Medieval knights adhered to a code of chivalry that required them to be courageous, honorable, courteous, and to work for justice. These are some of the same qualities that students learn through their participation in the clubs offered at St. Mary's. Our teachers are encouraged to share their passions with students through a variety of clubs, creating experiences for students that tap into their interests and help them discover new possibilities. ​ All students are encouraged to get involved and try something new. 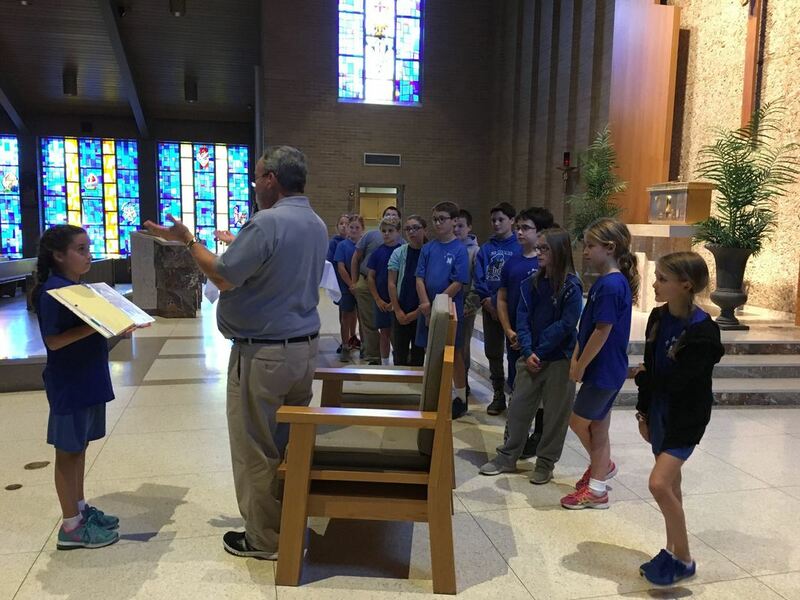 Altar servers are trained in the fall of the 5th grade. This opportunity is available to both boys and girls. Servers learn the role of the cross bearer and acolyte. After completing the training, students may serve school and weekend masses. A student can continue to be an altar server throughout high school. The server schedule is published in the parish bulletin. Servers are responsible for finding a substitute when they cannot make their scheduled turn. Each year, one student is recognized as the "Server of the Year" for going above and beyond expectations. The St. Mary's Book Club is unique because parents, students, and teachers all join forces to read and discuss a good book. During the 2017-18 school year, teachers, students, and parents read The Borrowers. The group meets one evening at school to share their thoughts and curiosities about the shared read while enjoying delicious snacks and treats. What a gift to share a book with your child and an invested teacher. Cub Scouts is open to youth in grades K-5. Scouts learn life skills, leadership skills, and social skills. Cub Scouts learn these skills through fun events like camping, hiking, fishing, pack and den meetings, popcorn sales, and community involvement. Boy Scouts is open to youth ages 11-17. 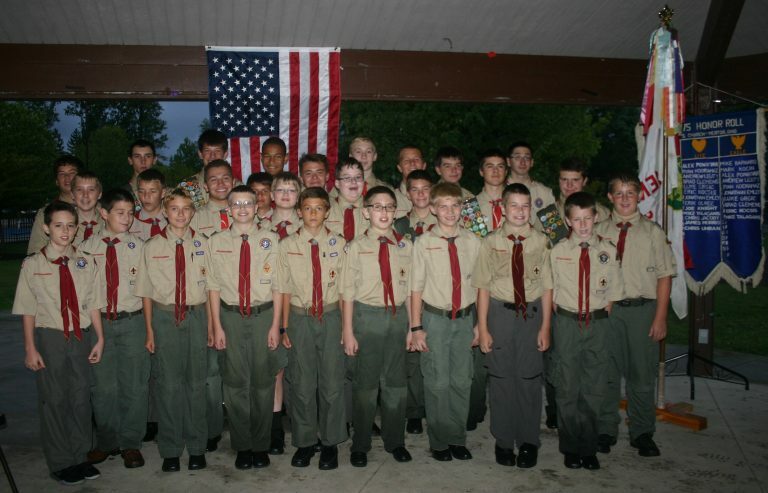 St. Mary's Troop 75 is part of the Greater Western Reserve Council and meets weekly in the evening. The troop has four patrols: Wolverines, Scorpions, Dragons, and Cobras. Troop activities range from learning scout skills and monthly camp outs to civic activities and high adventure activities. For more information visit Troop 75. The Caring Angels Kids Club is open to students in grades 4-8 and meets monthly after school in the library to conduct various service projects that address unmet needs in our community. In the process of serving others, students ultimately learn more about themselves. 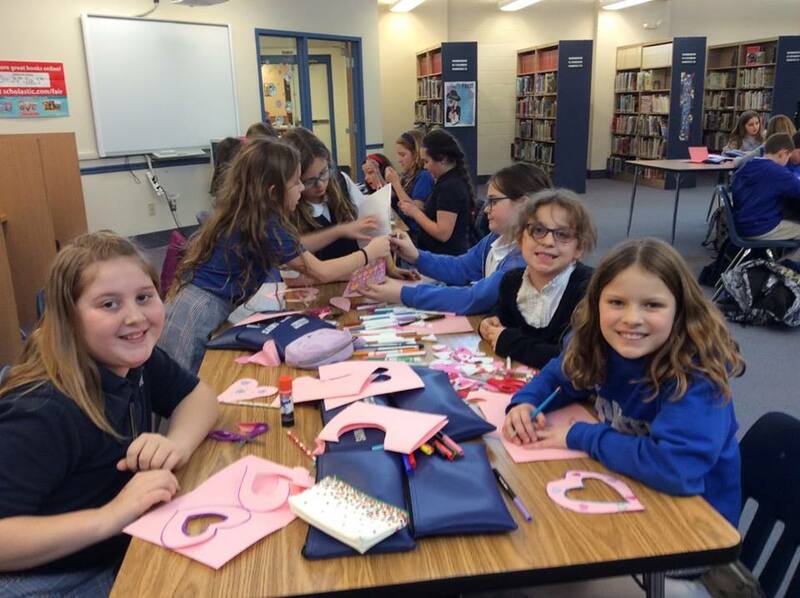 Some of the projects the club has completed include decorating gift bags and making cards for kids in the pediatric cancer unit at University Hospitals, making Valentine's Day cards and decorations for local nursing home residents, and collecting school supplies and snacks for students at St. Aloysius in Cleveland. The club also participates in St. Mary's Community Day of Giving in April. Club members document school events using digital and video cameras, and then produce two video yearbooks annually. Members are also responsible for assisting Ms. Ivec in keeping the lab clean, and basic maintenance of the computer lab (adding/deleting desktop shortcuts, researching fun and educational games, trying out new apps, etc.). 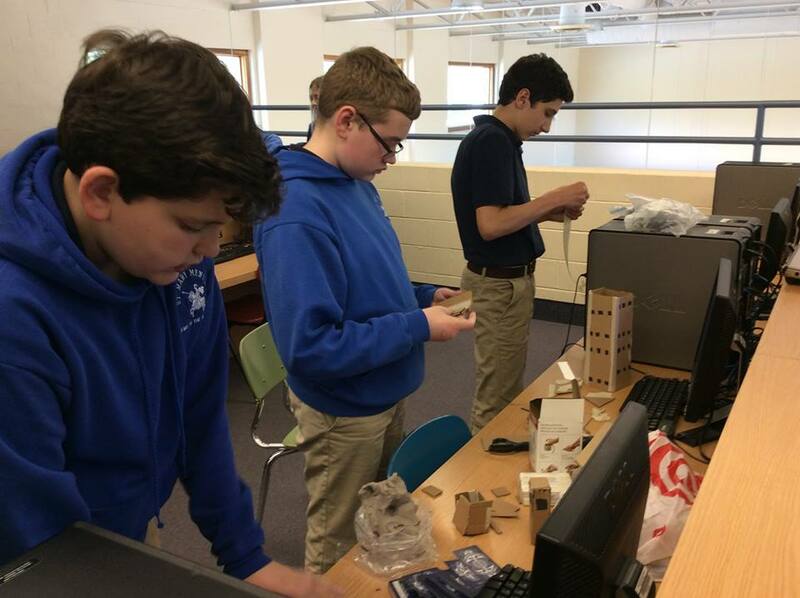 Club members determine other activities; for example, past clubs have built simple robots, studied the nuances of online games, and delved into programming using different computer languages such as html, or scratch. The club meets every Monday after school from 2:15-3:30 p.m. 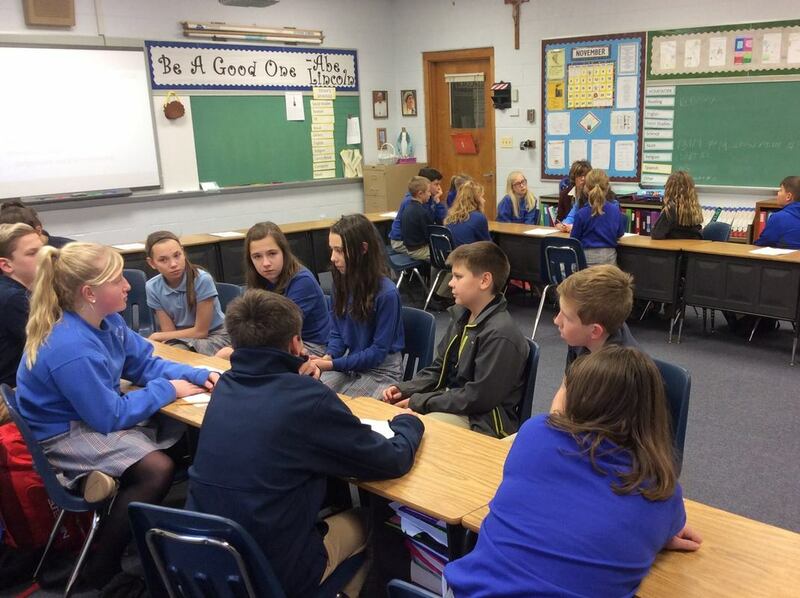 Faith Builders Leadership Club is open to any students in 5th through 8th grade that are interested in promoting and sharing their faith at St. Mary’s. The students meet about twice a month after school on either Tuesdays or Thursdays. Through activities such as The Knightly News Rosary Devotion, and The Living Rosary, the students work to deepen their own faith as they encourage those around them to follow in Jesus’ footsteps each day. The students also meet with the younger students throughout the year in various activities and lessons designed to encourage faith growth and development. Anyone interested in joining Faith Builders Leadership Club should contact Mrs. Grgic or Mrs. Obergefell for more information. The Game Club is open to students in grades 3-5 who enjoy playing board games, table games, and outdoor games (weather permitting). The club was formed to revive the art of face-to-face conversation and fun. No cell phones. No ear buds. No electronics. Just good old-fashioned fun. The club meets once per month. 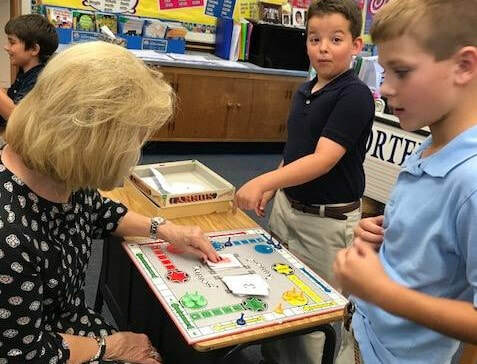 Some of board games that students play include Sorry, Trouble, Connect Four, Headbands, Jenga, Hungry Hungry Hippos, Monopoly Junior, and Battleship. Popular table games include Go Fish, Uno, Flippin' Frogs, and spoons. On sunny days, the club takes to the field for a game of Spud. Not only do these games encourage students to relax and have a good time, but they foster the ability to focus and lengthen attention spans. 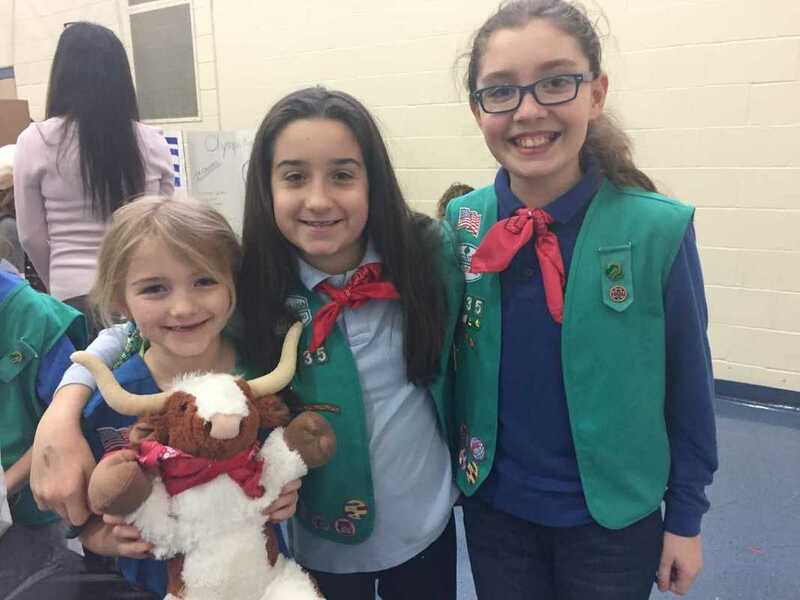 Girl Scout troops are organized for girls in grades K-8. Troop information is distributed in the beginning of each school year. As a Daisy, Brownie, or Junior, girls will have the opportunity to earn cool badges and fun patches, run their own cookie business, make new friends, and go to camp to experience the outdoors. Girl Scouts can do anything! With scouts, girls will have an awesome time exploring the world, learn about science, discover nature, and lots more. Highlights of being a Girl Scout at St. Mary's include overnights at Camp Timberlane, International Day, guest speakers, service projects, and working the fish fry during Lent. 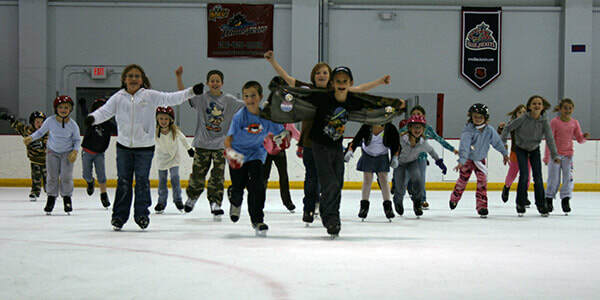 The After School Skating Program, offered by the Mentor Recreation Department, is for K-5th grade students. Bus transportation is provided from St. Mary's to the Mentor Ice Arena after school for one half-hour skating lesson followed by 1-1/2 hours of open skating time with friends. Participants are fully supervised by arena staff from the moment they enter the bus until parent pick up at the conclusion of open skate. Participation fees cover transportation, skate rental, and admission to the open skate session. For more information or to register, please visit the Mentor Ice Arena. The Knightly News is a daily news show produced by our 7th and 8th grade students. It is recorded in the school's production studio and then shown daily at 7:47 a.m. to each classroom via closed circuit television. There are approximately fifty students involved annually. Participating students have the opportunity to be an anchorperson, director, cameraperson, or copy-scroller on their assigned day. The Knightly News staff learns to work together as a team in front of the camera and behind the scenes to communicate daily announcements to the rest of the student body. News segments on each show are Daily Observance, Weather, Student/Teacher Birthdays, Lunch Menu, SMA Sports Report, Daily School News, Today in History, Saint Feast Days, Prayer, Pledge of Allegiance, and Joke of the Week. Club members report on school events, athletic results, arts programs, areas of student interest, and current events. The club meets bi-weekly in the computer lab to discuss content, assign stories, write articles, edit work, and layout the newsletter. Students are expected to write their articles independently and bring them to meetings for review and edits. 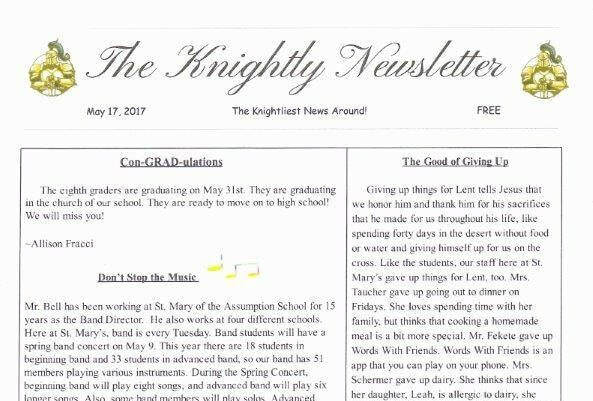 The newsletter is produced three or four times during the school year. The newsletter is distributed to the student body, and an electronic version is shared with parents. The meetings are typically after school. This program was developed by the preschool teachers, Mrs. Frabotta & Mrs. Jankowski. This very popular program is a unique opportunity offered to 8th grade students who are willing to volunteer a short period of their time to visit the 3-year-old classroom. The Preschool/K-8 campus at St. Mary’s gives us the opportunity to initiate a “buddy/mentor” volunteer program throughout the children’s academic/religious coursework. These types of programs are proven to foster leadership skills in older students, promote school unity, and the littlest children at St. Mary’s think the big kids are awesome! Little buddies are in awe of their new friends, and the older friends are superb role models. 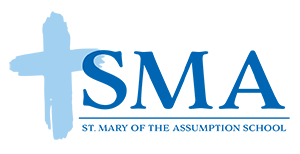 Recycling Club is open to students in grades 4-8 who are interested in assisting St. Mary's in implementing, maintaining, and improving programs to reduce the school's environmental footprint. Students who volunteer their time and service each week are assigned to a specific classroom or other work space to collect the recycling bin and bring it to the school’s recycling dumpster. Teachers who moderate the Recycling Club work with the students to help ensure safety and organization. 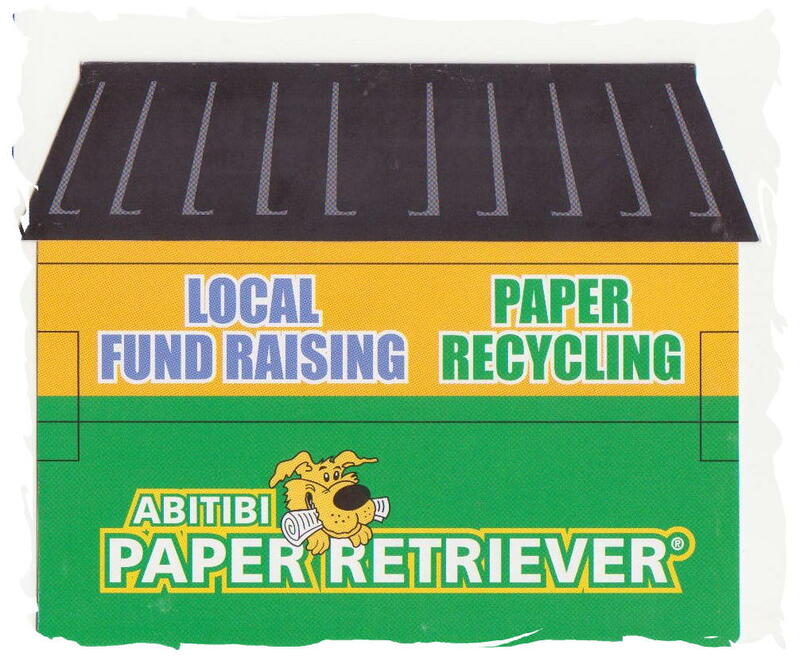 Students who participate in the club have a greater awareness of the paper waste generated by the school and the benefits that recycling has on the environment. Students in the 3rd-5th grades can volunteer to patrol the school doors “A,” “C,” and “E” in the morning of each school day. These students patrol the doors between 7:20 a.m. and 7:40 a.m. As members of Safety Patrol, students will gain safety awareness, leadership skills, teamwork, pride, respect for law enforcement, and a sense of citizenship and civic duty. 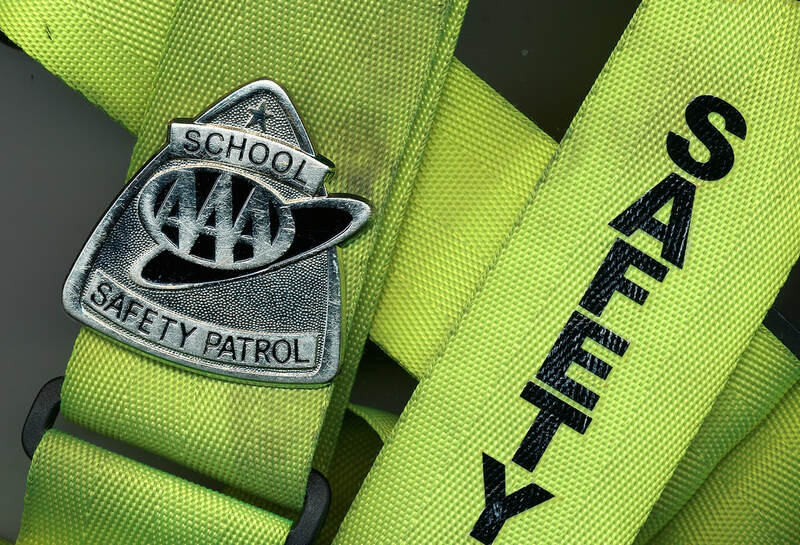 The school also benefits as the Safety Patrol promotes traffic safety awareness, peer-to-peer communication, character building opportunities, a constructive outlet for student energy, and a positive relationship with parents, law enforcement and the overall community. St. Mary's Science Olympiad team is open to all students in grades 5 and 6. The first meeting is typically in January, and practices run from February-April. The John Carroll Catholic Schools Elementary Science Olympiad is held in April. ​Science Olympiad is a phenomenal and fun experience for students. It's wonderful to see so many young minds working together to do their best in their chosen events. It is a day filled with friendly competition, hands-on activities, science demonstrations, team building, and excitement. 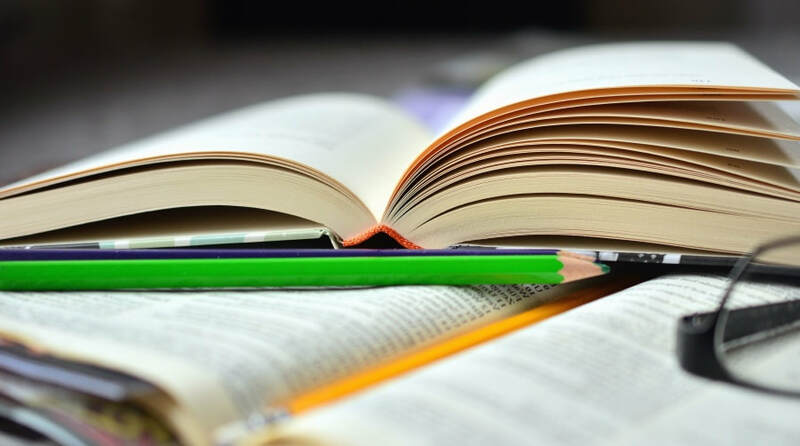 Although students will have the opportunity to prepare for events during the scheduled sessions after-school, it's important that students also spend some time practicing at home. For more information, please visit the St. Mary's Science Olympiad web page. 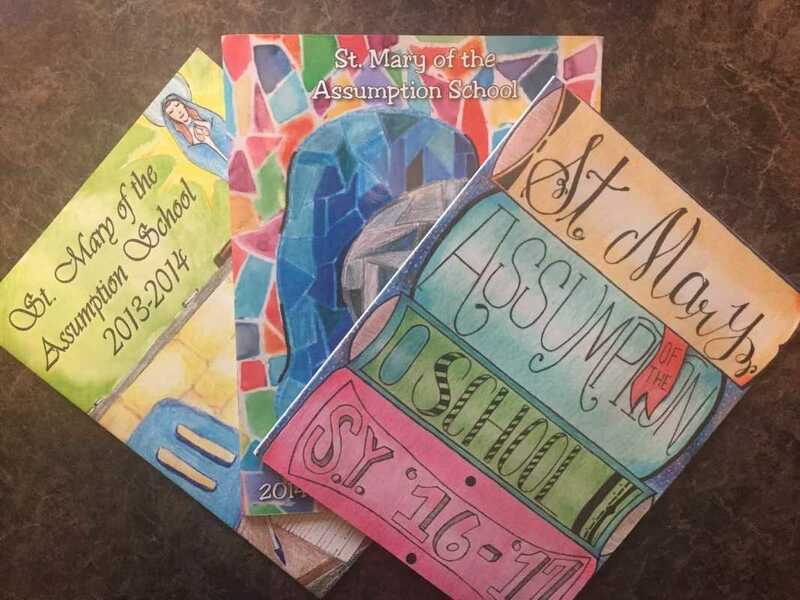 St. Mary of the Assumption School’s Student Council includes elected students in grades four through eight. Each homeroom elects two representatives each August. The club also has five officers: president, vice president, secretary, treasurer, and public relations. These officers are elected the spring prior to the school year they will be serving. The president and vice president are elected eighth grade students, and secretary, treasurer, and public relations are elected seventh or eighth grade students. The officers meet with the student council advisers every other week at lunch, and the whole council meets once per month. Student Council completes projects such as food drives, fundraisers, and plans school spirit events. Yearbook Club is offered to 8th grade students who are creative and dedicated to the construction of the school’s annual memories. Yearbook Club meetings begin in the fall and conclude near the end of January. Students’ responsibilities include taking pictures, constructing pages, and the organization of materials. As a group, meetings are held once a week after school on Tuesdays.